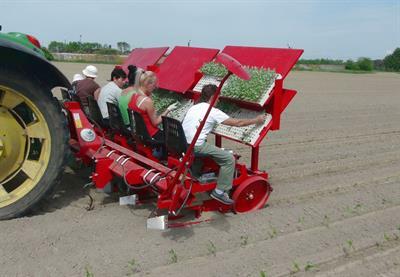 Transplanter PATRYK- 2 is a modern high-quality machine designed for planting vegetables, strawberries, tabaco and flowers from multiplates. Solid construction guarantees perfect planting quality even in dificult soil conditions. 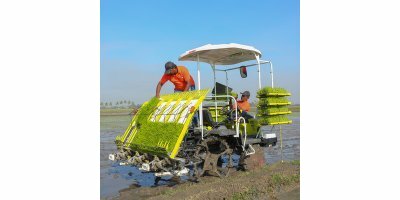 Efficient rice transplanting is done through thisPaddy Transplanter. Get from us this high speed Paddy Transplanter at rates that will never break the bank. 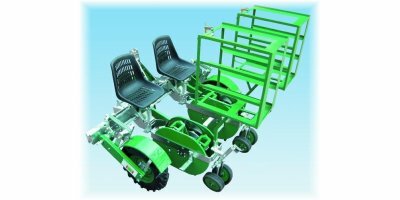 We are a dependable Manufacturer and Supplier of Paddy Transplanter. Also, this Paddy Transplanter is easy to operate. By M/S Saurabh Agro Enterprises based in Gwalior, INDIA. The transplanting process is really important for any plant. With GrowPact you can easily transplant your plants into bigger pots.Thanks to our manual tray popper, transplanting was never this easy! 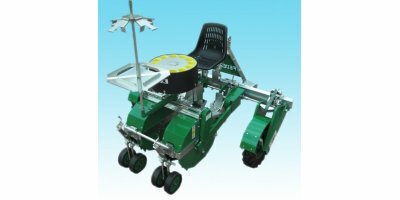 Wireless transplanter with continuous planting using up to 16 fingers for transplanting on a max working width to 1000 mm. First machine on the market with singularly motorized fingers without cables, to ensure less maintenance, and more flexibility with every kind of trays on the market. Transplanter with perforating vertical rotating bowls to transplant on plastic and paper films, and only soil, in greenhouse and in opened field plants with conical and cylindrical ball max cm.7 of diameter and cubical ball max cm.6x6 and also seeds. By Panagrotiki S.A. based in Lamia, GREECE. By TW Hamilton Design Ltd. based in Marlow, UNITED KINGDOM.